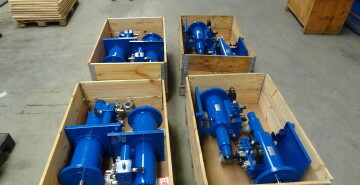 UniteQ delivered various actuating systems for medium valves to international customers. To provide an impression you will find several examples below. 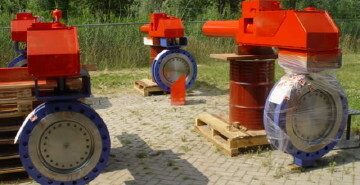 In addition we refer to the project page of turbine valve actuating for similar projects. 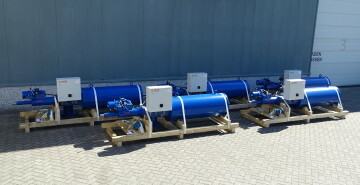 For project Marzahn on the German market UniteQ developed and supplied five scotch yoke actuators with electric hydraulic power units. For project Shirpur on de Indian market, UniteQ developed en supplied 4 control and 4 open/close actuators. 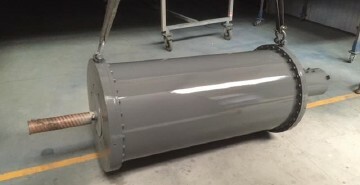 On behalf of a concern from Germany, UniteQ developed a new series of cylinders that are operated externally by the customers product. The composition is used for controlling valves in the industry.